My 10-year role as the U.S. girls’ youth national team coach has been one of the most rewarding in my career. Competing against the best players and coaches in the world challenged my view of what’s important for success in volleyball. One thing I discovered was that the parts of the game I valued as a collegiate coach were of marginal value internationally. Conversely, other aspects of the game took on magnified importance. I enjoyed the international substitution rules: 6 total subs, one time in, one time out. (The NCAA women’s game allows 15.) This rule challenges the coach to develop and value players who possess both front-court and back-court skills. In turn, players are challenged to develop a skill set that can be used in all 6 rotations. The best athletes are on the floor much of the match, leading to exciting and, at times, unbelievably athletic plays, both offensively and defensively. One of the obstacles the USA faces when competing at this level is the limited number of players who have the opportunity to develop all-around skills in their club or collegiate programs. I’ve had talented middle blockers on the youth national team who have never served in club competition because they were taken out for a back-court specialist. Yet, at the recent Youth World Championships, some of the best servers in the tournament were players who played the middle blocker position when they were in the front row. This serving success only makes sense. You have a tall player with a strong arm who contacts the ball at a high point – all the ingredients of an effective server. As youth national team coach, I never had a shortage of players possessing the athleticism to play at the highest international level. However, finding players who could serve, pass and defend at the international level was tough. In large part, this was because the tall and athletic players who are needed to compete at the net are taken out in the back row at the club or collegiate levels. There isn’t an inherent reason for there to be a greater number of skilled 6-rotation players in countries outside the U.S. However, international players develop in a system where the game, and rules of the game, reward the development of both front and back row skills. Limit substitutions to 8, perhaps 9, per set. (Current libero rules would not change.) This should encourage the development of the all-around skills of all players. It would also force coaches to strategize as to how and when to use subs, and it would improve the spectator appeal of the game by keeping the best athletes on the floor more. It would also instill some urgency in taller players to develop back-row skills and shorter players to develop front-row skills. Don’t allow liberos to serve. I have nothing against the libero serving. However, inherently, they serve for a middle blocker. I would prefer we work with the middles to become effective servers. Make it mandatory that there’s a minimum of 12 feet of playable area behind the end line in the 15-and-older “open” age groups at all USAV qualifier tournaments. This will encourage more aggressive serving. 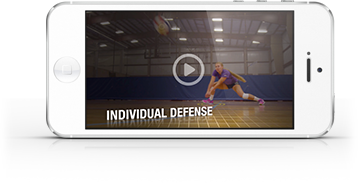 The more aggressive the serve, the more the passers will need to improve their skill set. We are working with players who are tall and athletic. They deserve more than a 6-foot area to serve. I propose these rules not to allow for future international success by our national teams, although that might be a by-product of these changes. The main motivation is to provide the athletes with opportunities to develop all-around skill sets. Ultimately, this will take our game to an even higher skill level and increase the spectator appeal of what our sport offers. Jim Stone coached the Ohio State women's volleyball team for 26 years and is currently head coach of USA Volleyball's Youth National Team. He is a contributing editor at Art of Coaching.